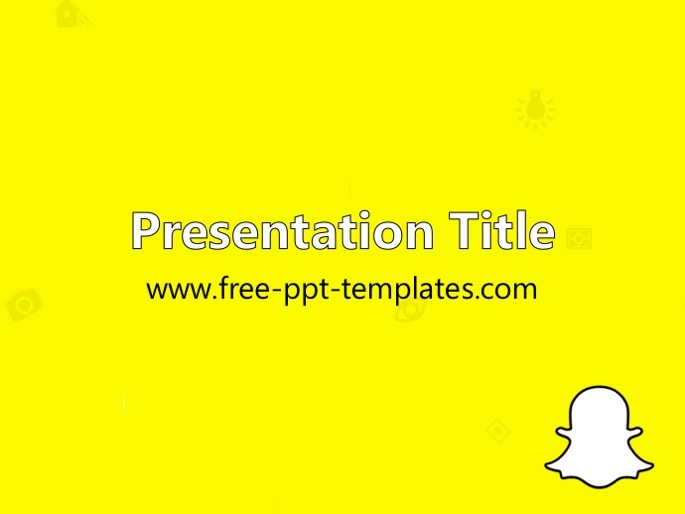 POWERPOINT TEMPLATE DESCRIPTION: Snapchat PowerPoint Template is a yellow template with a background image of Snapchat logo that you can use to make an elegant and professional PPT presentation. This FREE PowerPoint template is perfect for business presentations about Snapchat, social media, social networks, image messaging, history of development of Snapchat, developers, features of this social media, Snapchat storeis, messaging, demographics of Instagram users, monetization and marketing, etc. There is also a free Facebook PowerPoint Template that maybe can be the best background for your PowerPoint presentation. Find more similar templates here: Technology PowerPoint Templates.